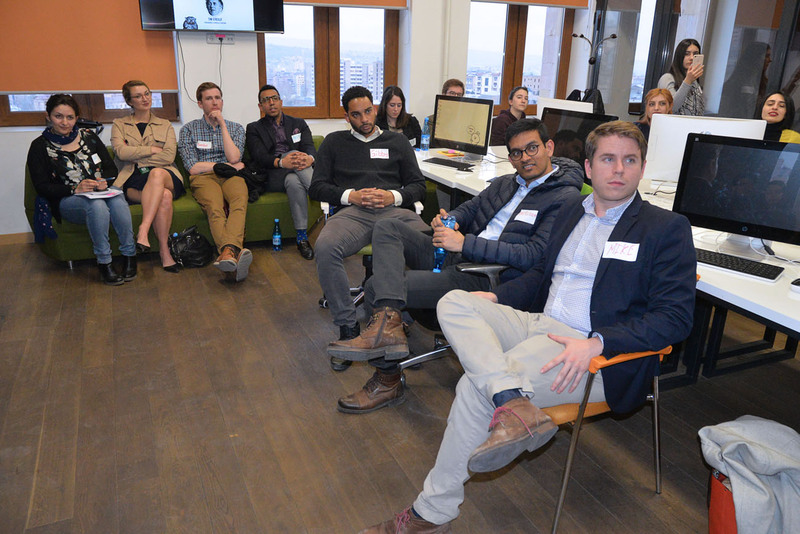 YEREVAN, Armenia ‒ On March 20, 2019, the Entrepreneurship and Product Innovation Center (EPIC) of the American University of Armenia (AUA) hosted a group of 25 Master of Business Administration (MBA) students from the Tuck School of Business at Dartmouth College in USA. 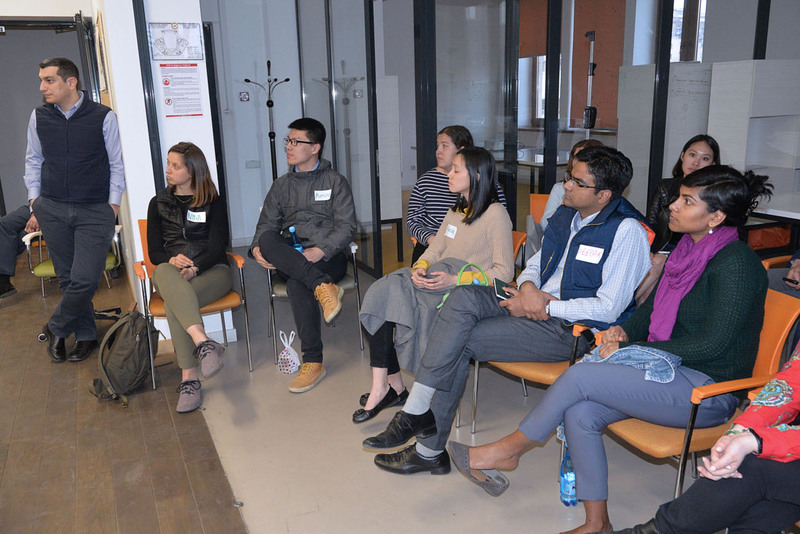 The Tuck MBAs were in Armenia as part of their Global Insight Expeditions program where students and faculty immerse in experiential courses around the world. During their travels, students learn about new cultures, interact with local corporations, entrepreneurial ventures, non-profit organizations, governments, and people from different walks of life. Hosted by Dr. Michael Kouchakdjian, Director of EPIC and Professor of Business and Management at AUA, this was the third year that Tuck students visited AUA and conducted joint sessions. “The Tuck MBA program has a top 10 ranking in the US. 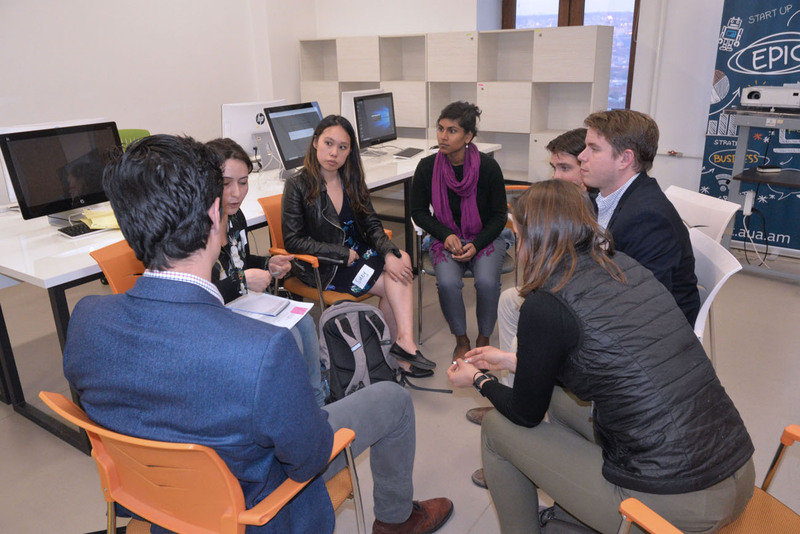 The depth of knowledge and experience of their students impressed all of us,” commented Kouchakdjian. 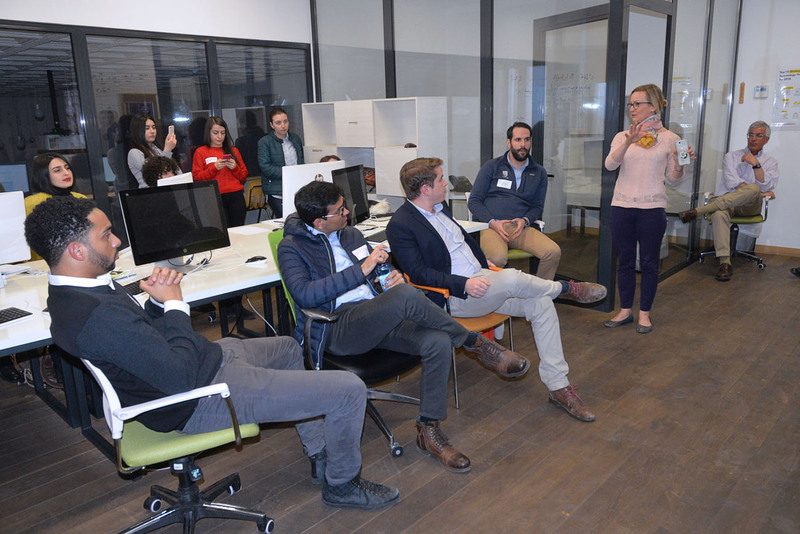 Following a tour of the AUA campus, the visiting Tuck students met with all nine EPIC startup teams in EPIC’s collaboration space. 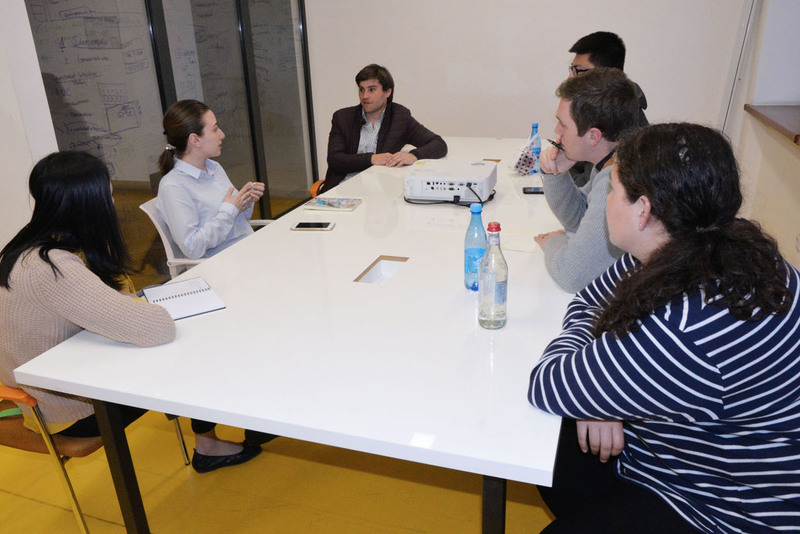 Professor Daniella Reichstetter, Executive Director of Tuck’s Center for Entrepreneurship and Adjunct Professor at Tuck, introduced the group and conducted a workshop on new customer identification and development. She was accompanied by Dr. Stephen Powell, Professor of Business Administration. 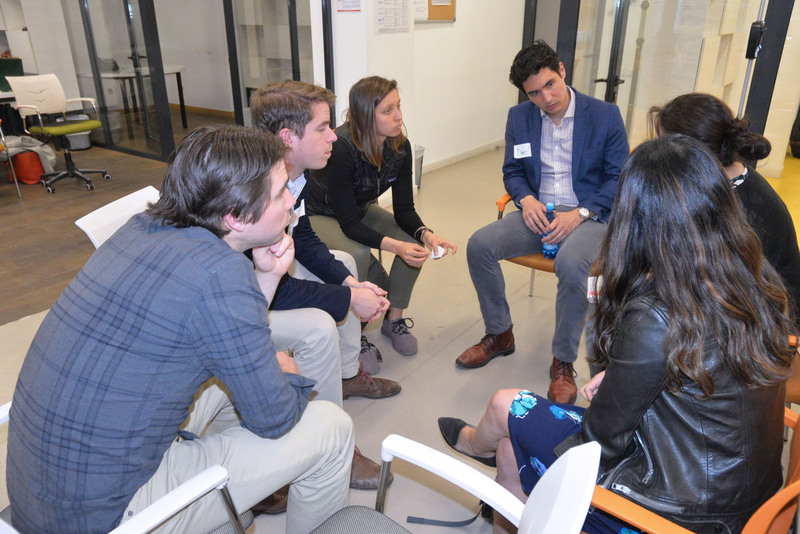 Afterwards, the AUA EPIC resident teams pitched their new venture ideas, then broke into smaller groups to analyze their business models and get feedback from Tuck MBA students. Following the session, mixed groups of students went to dinner together, which provided more opportunity for learning and networking. Worthie is an online survey tool integrated with an Honesty-Check System aimed at ensuring that survey takers are honest, thereby helping survey creators to make accurate decisions. Worthie presents a completely new approach to conducting online surveys. By creating a community of honest survey participants, Worthie aims to become a hub for reliable and trustworthy data collection and accurate decision-making. 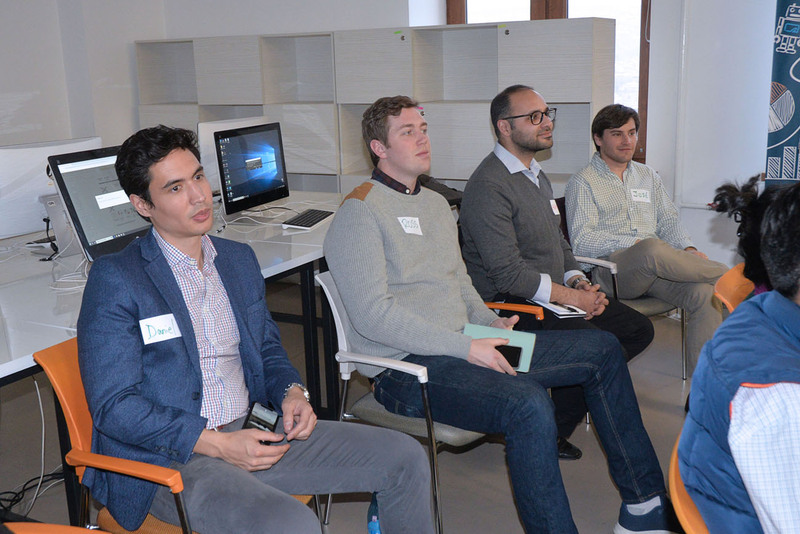 “It was exciting to meet Tuck students. The meeting was quite useful and informative. 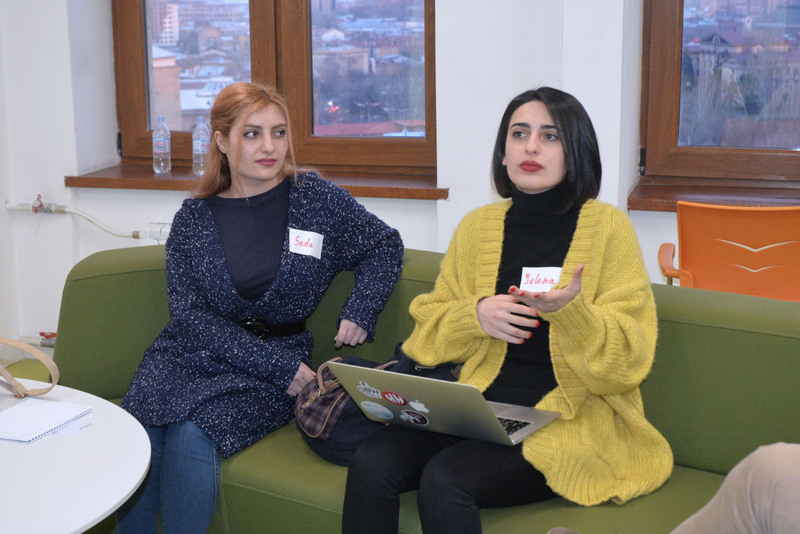 They helped us to see other possible revenue streams and to identify customer segments in the global market, which we do not have here in Armenia,” added Yelena Varosyan and Seda Khojayan, Co-founders of BackIDwards. 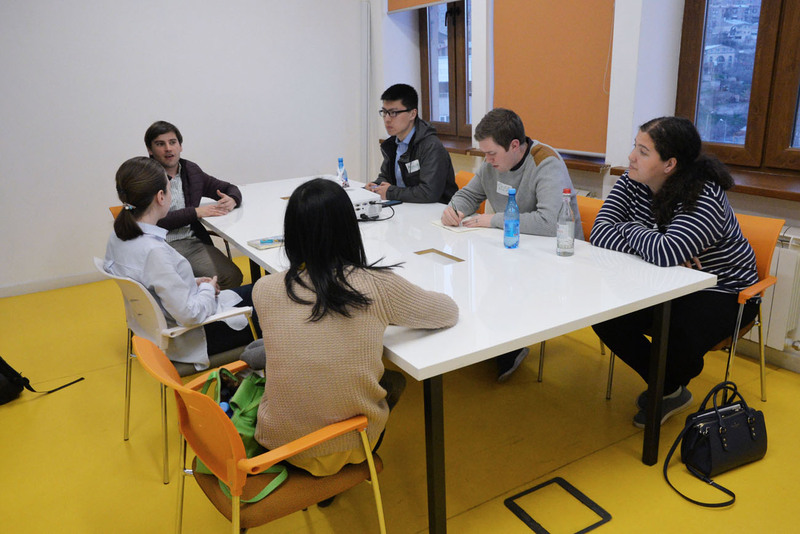 Varosyan and Khojayan, together with their other team members are creating a platform based on artificial intelligence for relationship matching. Through data gathered from online video-interviews, BackIDwards utilizes a digital compatibility matching system and sophisticated algorithms to make high-quality matches. “I am delighted to help build collaboration between AUA and Tuck. 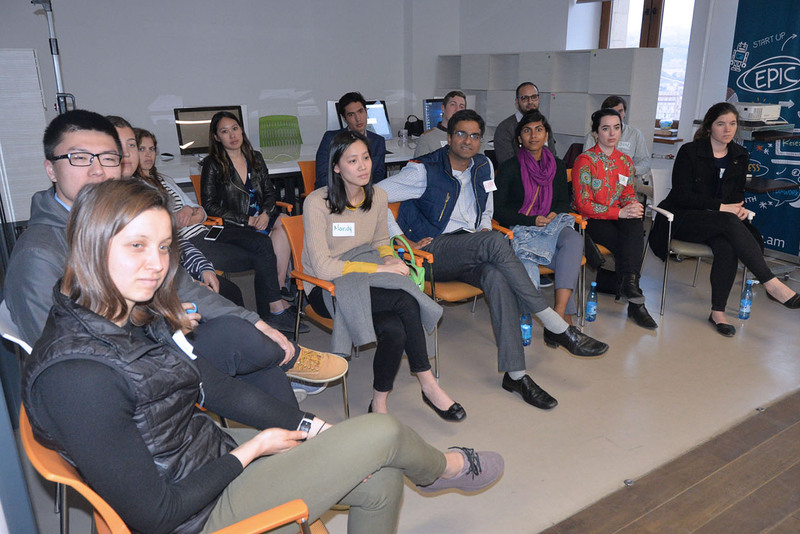 The 25 Tuck students that participated in the EPIC business model workshop really enjoyed helping EPIC’s budding entrepreneurs. They were truly impressed with the teams and the work they’ve done so far. 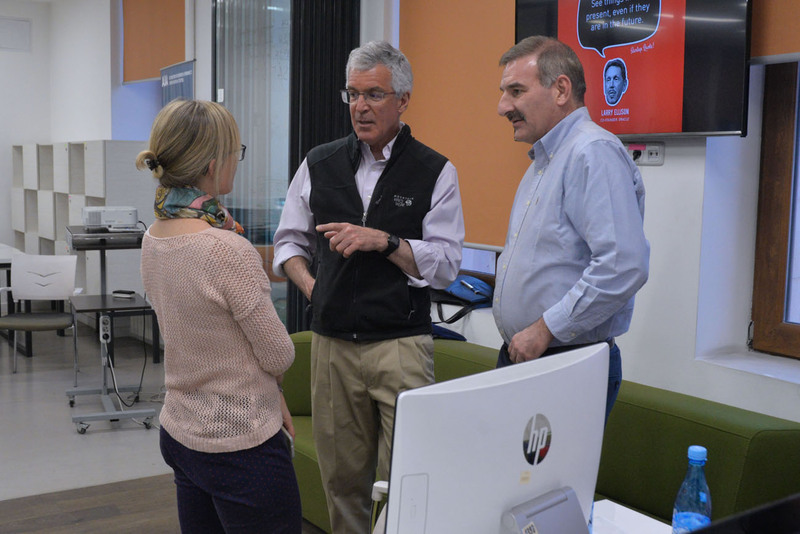 We look forward to seeing these ventures grow and hope to continue supporting EPIC teams in the future,” shared Professor Daniella Reichstetter, Executive Director of Tuck’s Center for Entrepreneurship. 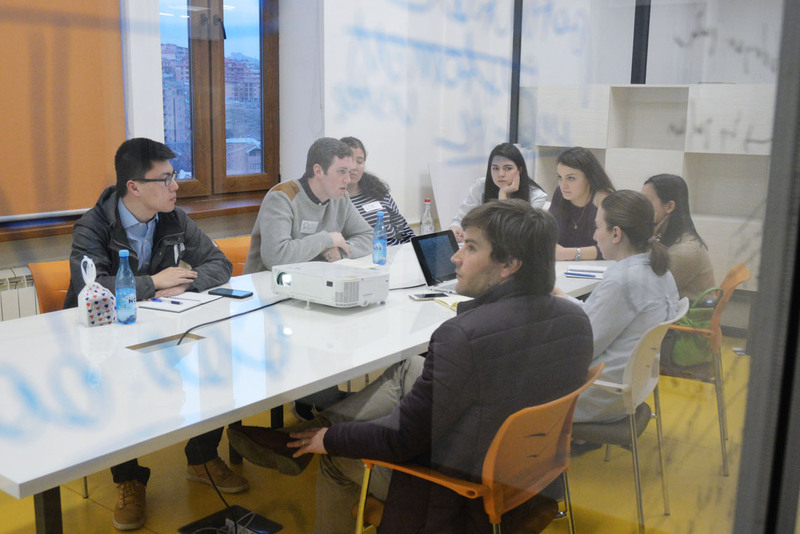 The Entrepreneurship and Product Innovation Center (EPIC) is a platform for promoting entrepreneurial education, cross-disciplinary collaboration, and startup venture incubation. 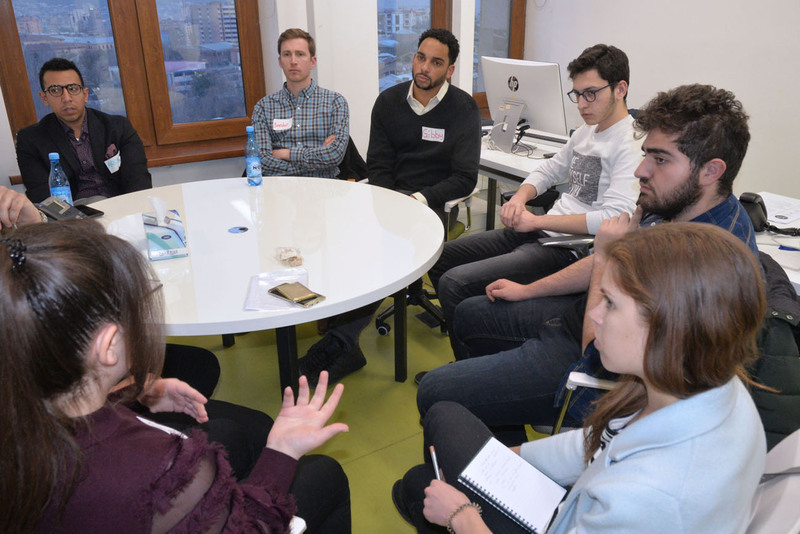 EPIC provides an ecosystem for the American University of Armenia’s (AUA) emerging entrepreneurs consisting of first-class facilities and collaborative workspace, programs and events, and a network of mentors, advisors and investors. 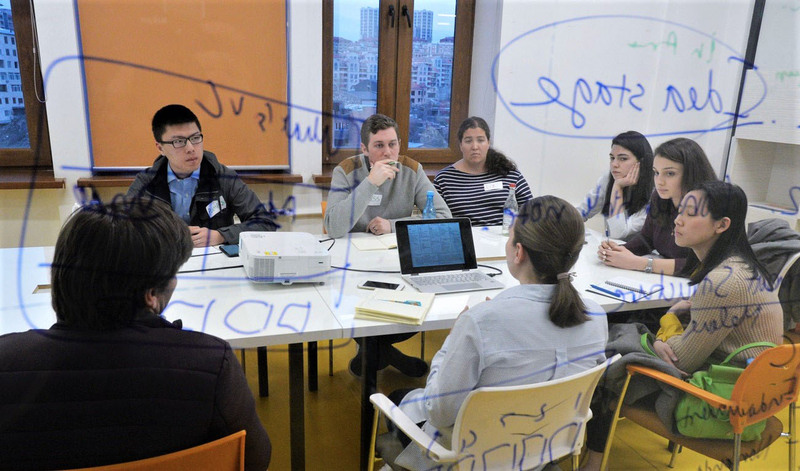 EPIC fosters the understanding and application of entrepreneurship with students and faculty at AUA to craft high-impact multidisciplinary ventures.